Insecurity is the ultimate motivator. If someone is insecure with their body, they will attempt to go on a diet. If someone is insecure with their height, they tend to have a Napoleon complex. If someone does not feel secure in their job, they tend to perform better when competition is brought in. Joe Flacco is an insecure quarterback. That statement has nothing to do with his talent or his ability to help the Ravens win. “It’s good and fun for a little bit, but that’s it. 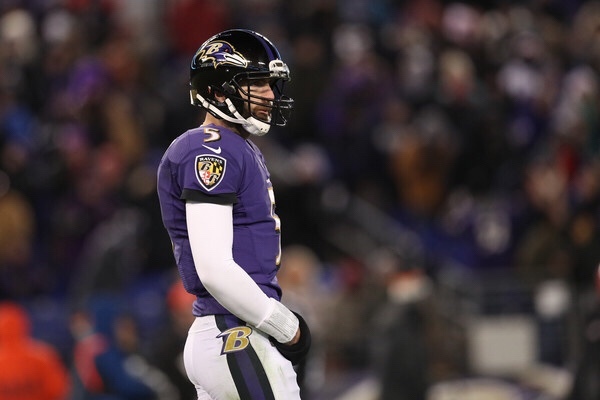 I don’t want to be lining up at Z and X, I want to line up behind center.” – Joe Flacco following the game. Flacco tucked his hands into his hand-warmer during the play and did not move an inch. Some may speculate the Ravens ordered him to stand still to avoid any contact to his newly minted $120 million body. However, Flacco’s response says otherwise. The most popular player for a football franchise is the backup quarterback. Everyone trends towards the unknown, the unestablished. When a starting quarterback without the cache of an Aaron Rodgers or Drew Brees struggles, fans immediately clamor towards the backup. Look at the New England Patriots. Let’s say Tom Brady was average in 2017, and the Patriots dropped a few more games than they should have. Jimmy Garoppolo easily becomes the most popular player in New England. Fans saw glimpses of his brilliance prior to his trade to the 49ers. That posed a problem for the Patriots, and most notably, Brady’s pysche. Like Flacco, Brady is an insecure quarterback. The 40-year-old heard the rumbles that Garoppolo is next line. He heard the whispers that Belichick prefers to move on from a player a year early rather than a year late. Difference is: Tom Brady is Tom Brady. Flacco is junior varsity. Flacco signed his $120 million deal following his Super Bowl victory. Since then, he has turned in 98 touchdowns and 74 interceptions. Meanwhile, Tom Brady’s insecurity has turned in 154 touchdowns and 37 interceptions in that same time frame. Yes, the Ravens were forced to pay JV Flacco that quarterback premium. But the guy that stood toe to toe with Brady in those regular season and AFC championship game matchups has been absent since 2012. The Ravens signed Flacco with the thought that he would slowly progress into a Tom Brady-esque threat at quarterback. Since signing a contract that ranked him among the highest paid quarterbacks, Flacco has thrown 56 touchdowns less than the best quarterback, and double the interceptions. Discomfort spurs change. When someone is not comfortable in the seat they are sitting in, they adjust their positioning. When someone is in an uncomfortable situation, they try their best to remove themselves from it. Flacco is comfortable. The Ravens need to make him uncomfortable. They need to draft a quarterback in the middle rounds to push him. The most ridiculous most draft released so far has been Josh Allen to the Ravens at #16. There is a strong chance that will not happen. However, the Ravens would be wise to draft a quarterback relatively early, and even some players are aware of that. Cornerback Marlon Humphrey tweeted that he would love to see Baker Mayfield in a Ravens uniform because he has the attitude to lead a franchise. This is telling. Humphrey has spent just one year with Flacco as his quarterback and he is voicing he would be open for a replacement. Hall of Famer Ray Lewis consistently questioned Flacco’s ability, and owner Steve Bisciotti has admitted he has heard the distant calls for Flacco’s benching. These requests are not without reason. After the Super Bowl victory, the Ravens lost everything. They lost their leadership, they lost their mojo, but they were supposed to usher in a new era under the strength of Joe Cool. He was supposed be eons better than the 40-40 mediocrity that has defined the franchise since then. But the roster turnover has proven Flacco is nothing more than a smooth operating game manager. 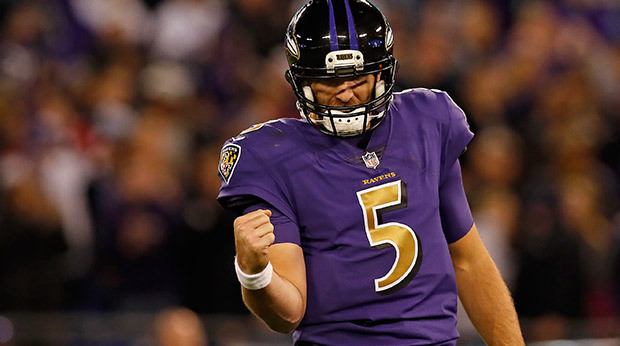 Flacco decided to bet on himself during the Ravens 2012 Super Bowl run because he was hungry and jaded by the fact he was successful in his early years behind an elite team. It paid off for him. But, money makes people soft and it makes them lazy. Flacco’s performance since signing his contract has been lackadaisical, aside from the 2014 season. That is because he has not had someone he feels threatened by backing him up. He felt threatened by Tyrod, so he pouts on the field. He was well aware that Matt Schuab is a well-established QB in the league who has worked with Gary Kubiak. He turns in his best season. Since then, Ryan Mallett has been his backup. Flacco knows he has the Ravens hooked, and it’s affected his alertness for the game. It’s resulted in lackluster play. Hence why they need to inject some youth at the position, and they need to do it early. Someone is going to drop in this draft at quarterback. The most popular players who are likely to drop are Marlon Humphrey’s guy Baker Mayfield, or Lamar Jackson. A career 67% passer like Luke Falk would also be worthy of consideration in the middle rounds. But one thing is for certain, Flacco is comfortable, it’s showing in his performance and it’s not necessarily a good thing. Iron sharpens iron and some added pressure to the quarterback room could pop out another diamond season like 2014 for Flacco. 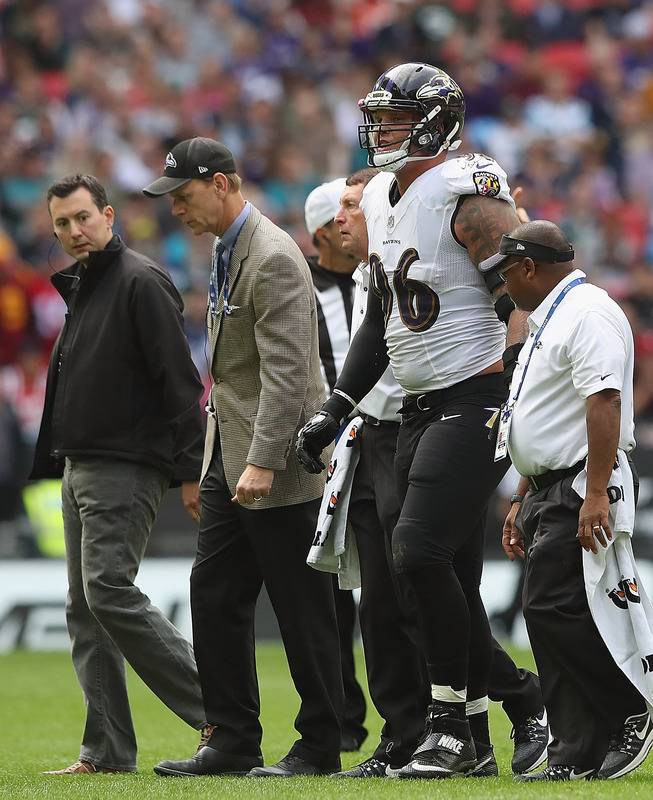 Who Will Replace Brent Urban For Baltimore? 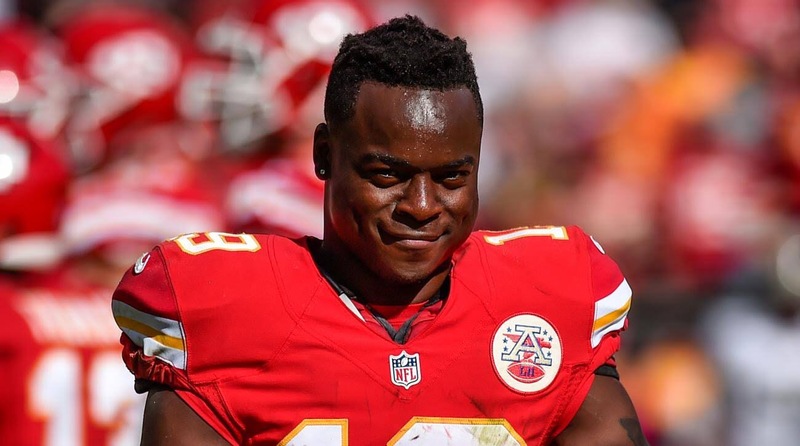 Will the Ravens Sign Jeremy Maclin?